This is an example of collection of data but this can be collected via surveys or just a simple import of data! 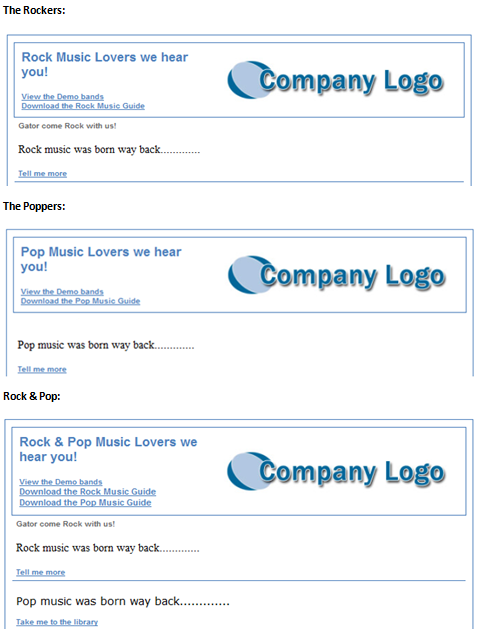 In this example the contact has only chosen Rock Music but the design is set up to be adapted if the contact had chosen both preferences or one or the other. Provide a description of your rule "Post code - RH" or the value you entered from the group based exercise. Select the Attribute Name of "PostCode"
Select the operator of "(=) Equals To"
Repeat this step by clicking 'Add Condition' but using the post code of "SE" or again. 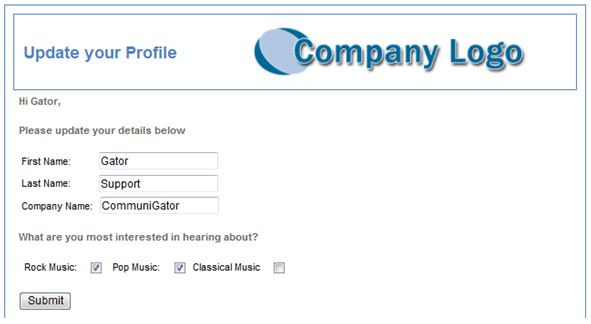 Your dynamic content will now supply the correct information for the contact based on there post code value.